We provide pre-purchase building and pest inspections in Oxenford and its surrounding areas. We send out two highly experienced inspectors at the same time working together as a team, a building inspector and a pest inspector. We work 100% independently for your best interests only and have no conflicting interests with real estate agents, conveyancers or solicitors. The majority of our inspections come from referrals from our satisfied customers. Please visit our testimonials pages to see some of our clients comments regarding our services. All inspections and reports are in accordance with the Australian Standards: AS 4349.1 for building inspections and As 4349.3 for pest inspections. Your building inspector will undertake a thorough visual inspection reporting on any major or minor defects, any cracking as well as maintenance and safety issues. Our building inspector has over 30 years experience as a licenced builder and has undertaken 1000’s of local pre-purchase building inspections. Licence details are available on our about us page. Your pest inspector will undertake a thorough visual inspection of your property looking for any signs of termite activity, high moisture areas, timber decay or high risk areas. He will identify what current termite protection in place as well as informing you of any termite management that is required to protect the property in the future. The AS 4349.3 recommends the use of a sounding device and moisture meter while undertaking pest inspections. As well as these our inspectors are equipped with movement detectors, listening devices and thermal imaging cameras. 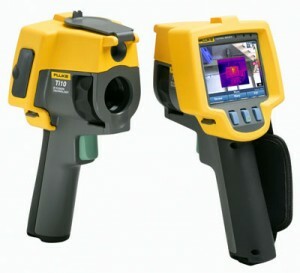 We do not charge any extra for thermal imaging. We provide comprehensive reports within 24 hours of your inspections, with most reports being available on the same day as your inspection. Reports can be sent via email, fax or mail. You can also talk directly to your inspectors if you have any questions after you have received and read your reports. All of our inspectors are fully licenced as required by the QBCC and have professional Indemnity Insurance as well as public liability insurance for your added protection. Whether you are a first home buyer, third or fourth home buyer, or property investor; you can BE CONFIDENT with a building and pest inspection report from us! Request your instant quote now or call 1300 884 204 and our friendly staff can assist you with your enquiries and bookings. 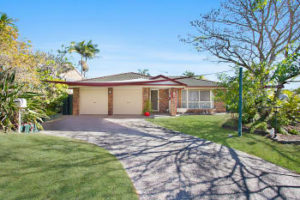 Areas serviced include: Oxenford and all surrounding areas. Enquiries: Our friendly staff can assist you with any of your enquiries and inform you about all of the areas where we undertake pest and building inspections.